We’re reaching out across Canada again, searching for producers who have a keen eye and a quick trigger finger when capturing the great moments that make up our industry. If you’ve got photos of the people, places and animals that make Canadian beef great, we want to showcase them in our 2018/19 Annual Report! All submissions will be shared on our Facebook page, and the best will be selected for publication in the report. We had great feedback last year, so we definitely want to repeat the process again for this year, and share the real farm and ranch lives of our Canadian producers. You can check out past editions of our annual report here. 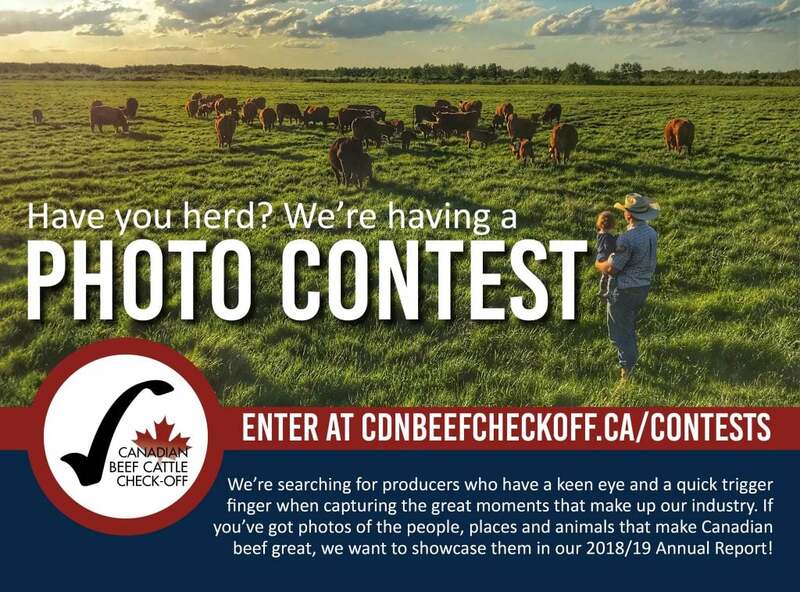 One winner will receive a prize pack from the Canadian Beef Check-Off Agency. All photos selected to be included in the annual report will also receive a token of appreciation. We reserve the right to use any submitted entries in other communication channels such as our website, The Gatepost newsletter, social media, or other reports, presentations or platforms. All entries will be credited in the annual report, and when used in other media, when appropriate.